Interested in ordering? Please contact us for updates on availability and shipping options to your address. The “Original” cubicle revolutionized waterfowl rearing in Europe when first introduced and continues to be preferred by experienced hobbyists and professionals. Now made in America, the original rearing cubicle is making waves on this side of the pond too. Made from fiberglass with a durable white interior paint, the original rearing cubicle keeps chicks clean while providing them with the benefits of wet brooding. Chicks stay clean and dry on the plastic floor grate that does not harbor bacteria, rust or decay. A constant water flow keeps the water cool and fresh, encouraging quality feather development. 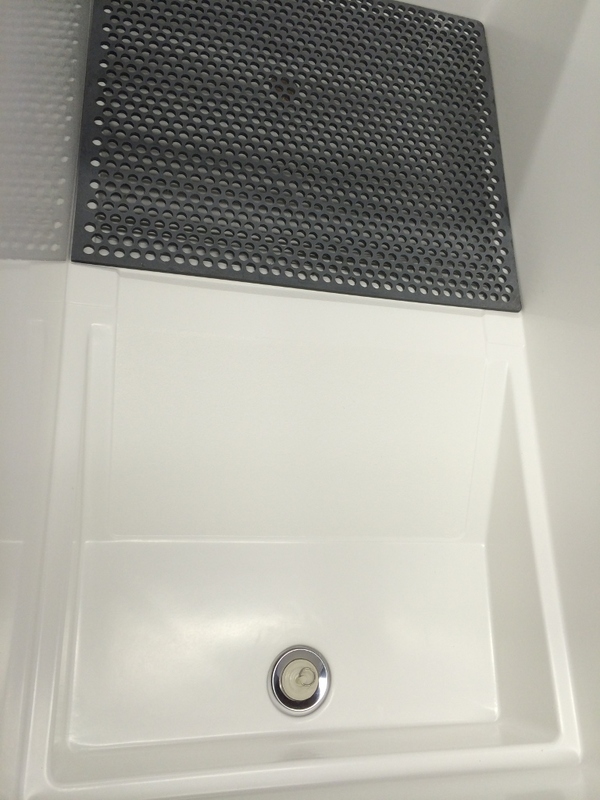 The cubicle can also be used for dry brooding (with the purchase of an additional floor grate). 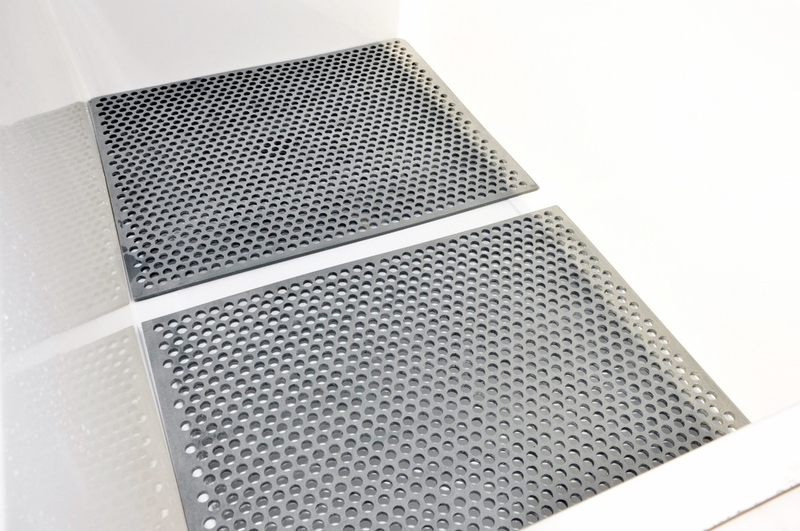 Made from heavy duty plastic, these floor grates will stand up to years of use. 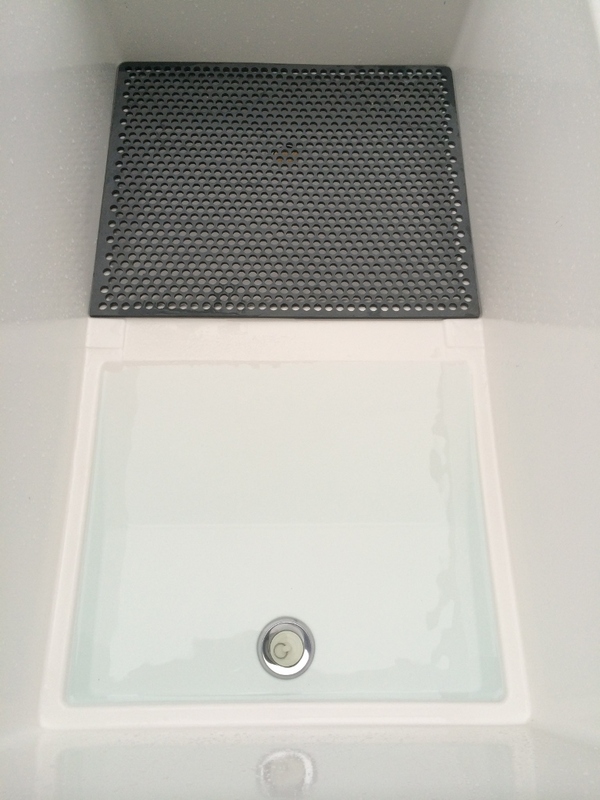 Excess water, feed and droppings fall through the grate, helping to keep birds clean and dry. They can be soaked in disinfectant and washed between uses. Rough sanded for improved traction. 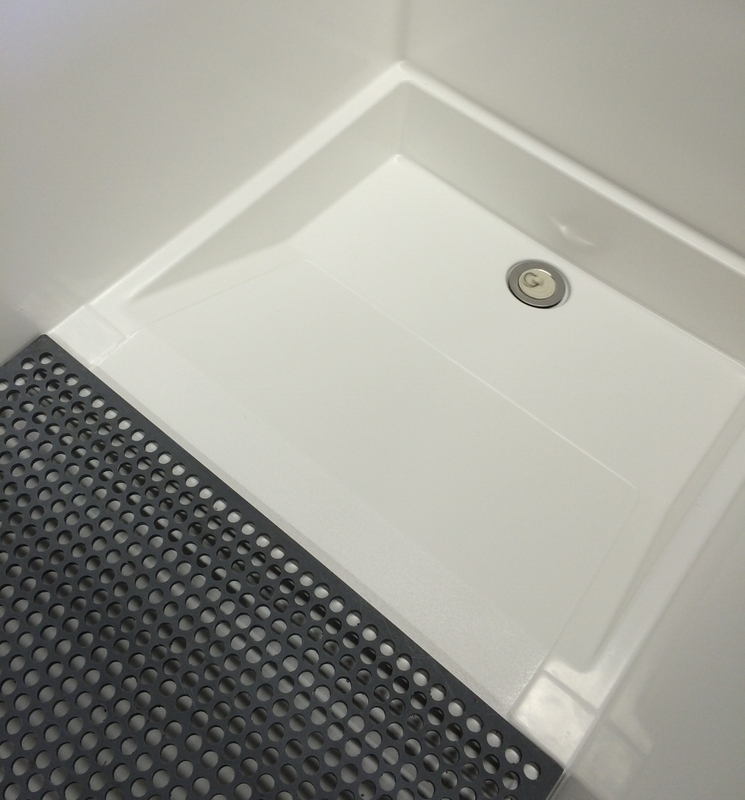 Our replacement floors fit both American and European manufactured cubicles. Unlike coated wire floors which rust and stain over time, our plastic floors will not damage the inside of the cubicle. Holes in brooders are 1/2" and will work well with all waterfowl species. 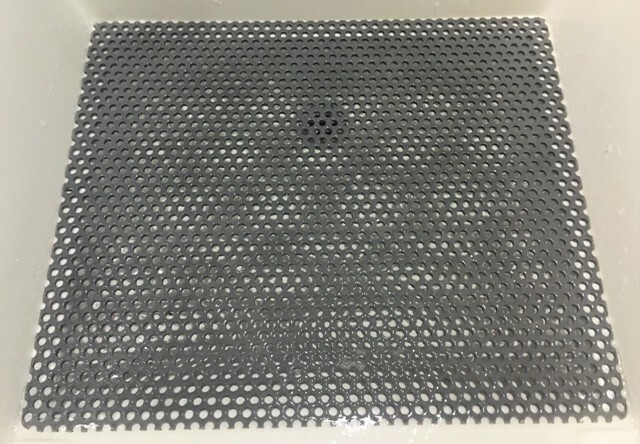 We can also make a significantly smaller hole design for use with shorebirds as well as a solid floor with no holes at all for dry brooding. Please inquire. Ideal for sensitive and/or small-footed species (cranes, plovers, quail, etc.) 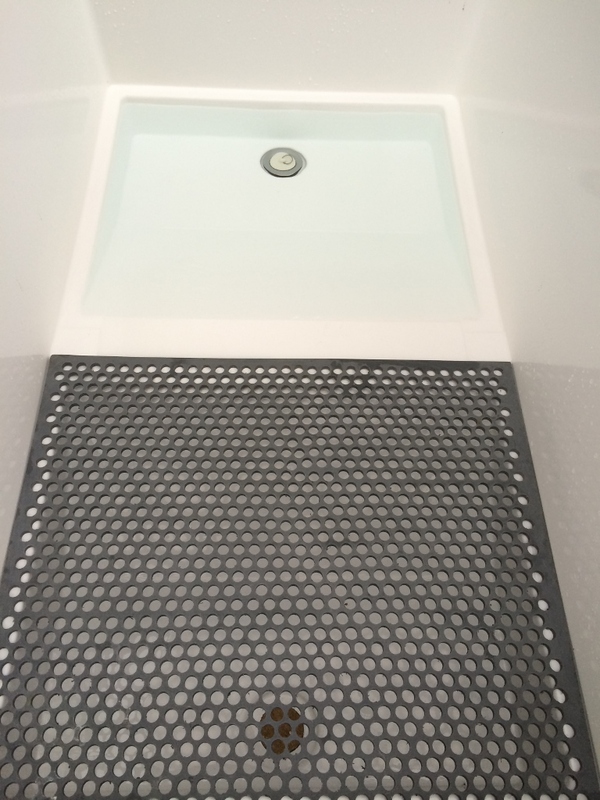 these 1/4" thick durable mats provide a soft, high traction flooring while still providing the cleanliness qualities of the plastic floor grate that supports it. 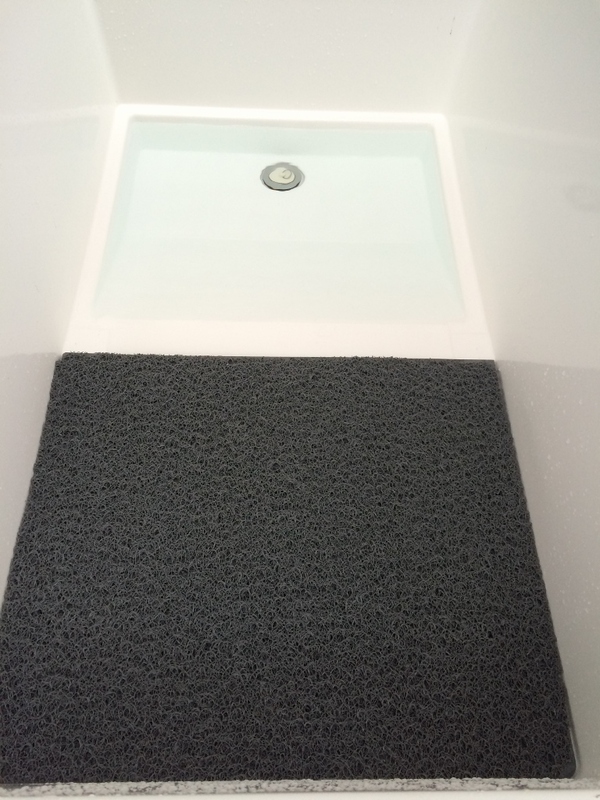 Excess water flows through the mat, while droppings and spilled feed can quickly be rinsed away. Simple assembly and lightweight materials make our stand a good choice for those who use their cubicles seasonally and want to store them out of the way during the off season. Multiple stands can be joined together to make one solid unit for higher volume users. Want to make moving your stand and cubicle even easier? We can include rollers at your request. Brooder stands are shipped disassembled (cut pipes and fittings) and will require assembly with a rubber mallet. For the most sturdy or permanent assembly PVC cement is recommended. Want to build your own instead? Download the design here. 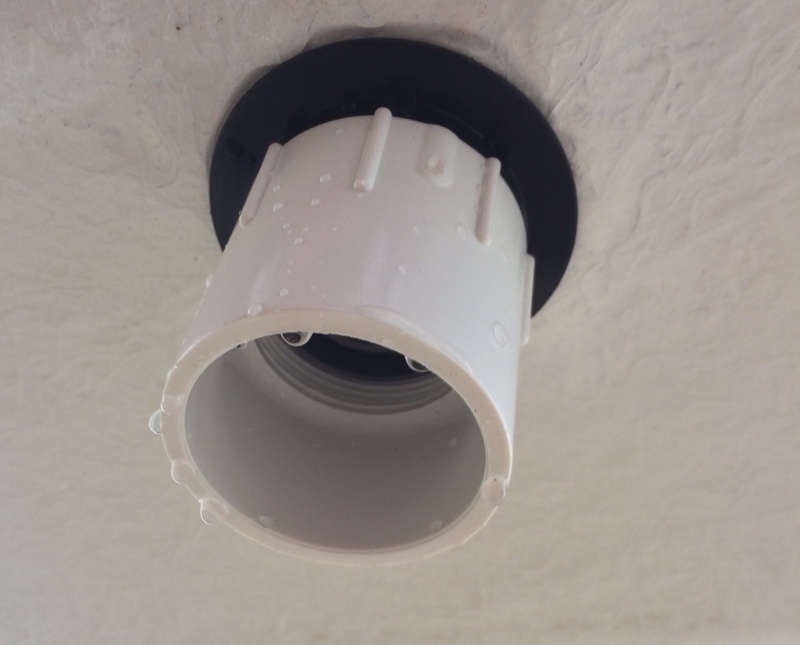 One replacement safety drain with rubber gasket and plastic nut. Also includes 1-1/2" female fitting and stainless rubber plug with nylon nut. Interested in placing an order? Please contact us for updates on availability and shipping options to your address.